What do I love about Spanish cooking? The colour, the zing of the fresh flavours and the way you can almost taste that gorgeous climate in everything on your plate. Then there’s Miguel Maestre. This talented Spaniard has made Sydney his home and the way he mixes the Spanish style of his homeland with the influence of Australian-inspired menus makes food that is absolutely delicious. I am SO happy to welcome Miguel to DaniStevens.com to share his own personal insights into fitness, food and fun! From co-host of TEN’s The Living Room, right to my wonderful online community – Miguel is a great addition to our growing team of fantastic healthy food fans. 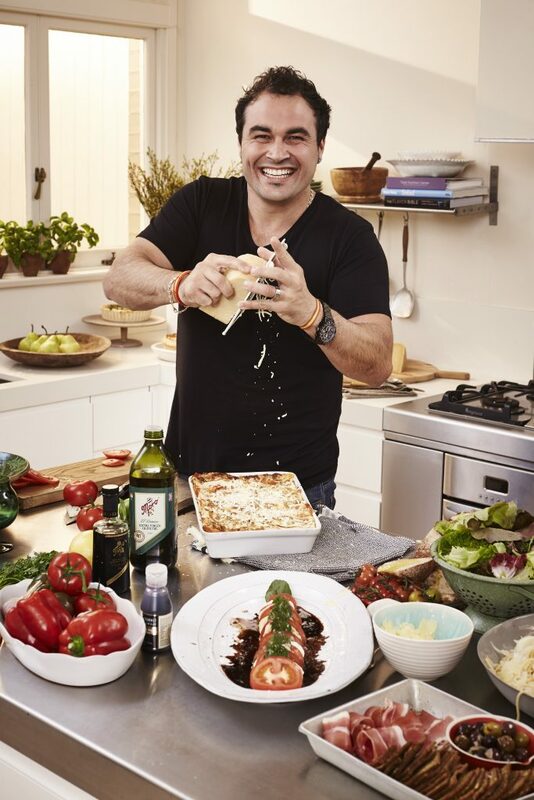 He’s out and about around Australia at the moment, teaming up with Australian olive oil, Moro, to host pop-up alfresco events around Australia. Sydney-ites – it’s your turn this weekend. Miguel will be will be in Paramatta as the Ambassador for the Eat Life Up this Saturday afternoon, June 27. You know I love positive energy…and Miguel’s love of life is obvious with every dish he creates. See him in person if you can, otherwise sit back and relax as Miguel takes 5 minutes with us to share his fitness, food and style passions! I like to swim as many mornings as possible with the Bold and the Beautiful swimming squad at Manly. This is a swim that takes around 30 - 40 minutes, 1.5km from Manly to Shelley Beach and back. My dream meal would be the best Churros Chocolate ever. Warm chocolate sauce with hot sugary fluffy churros. A savoury choice would be the best Spanish Jamon Iverico with a little bit of sourdough and a generous drizzle of Moro Extra Virgin Olive Oil. I love Ricky Martin. He dresses, talks, sings and moves well. I am a clean freak. Always have been and always will be. I can’t stand a messy house or kitchen. My gold necklace that my mum gave me before I left home for overseas at the age of eighteen. This reminds me of my family back home in Spain. My wedding ring. I never take this off. It is a reminder of the love for my beautiful wife, and our amazing wedding day. Kissing my kids. I never leave the house without giving both of my children a hug and kiss. We are a very affectionate family. You know one of my most FAVE Spanish dishes hands down is this scrumptious donut dessert, coated with gorgeous cinnamon sugar, crunchy texture that just melts in your mouth like a fluffy cloud. Check out Miguel in action in the kitchen and how YOU can make these incredible churros at home! Enjoy. So awesome to have you with us today Miguel and I can't wait to cook with you very soon amigo! Who's your favourite foodie chef?